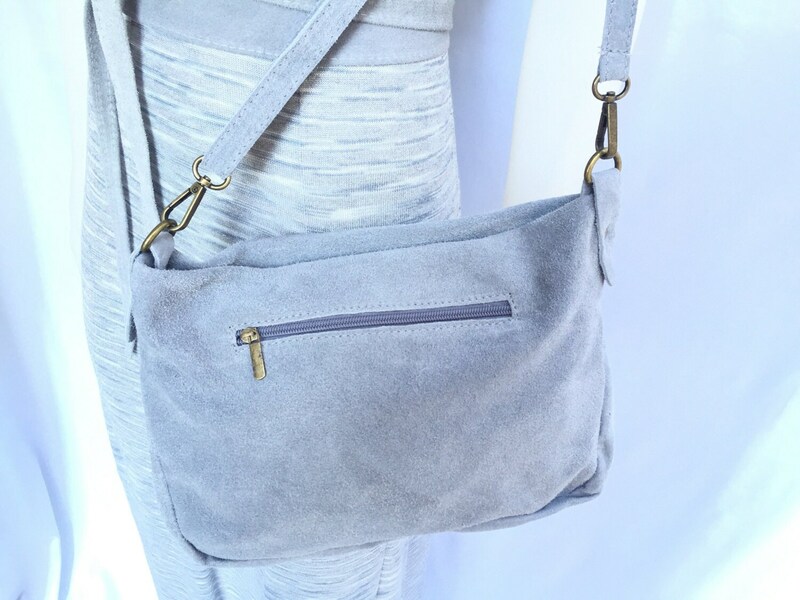 BOHO suede cross over leather bag in GREY. 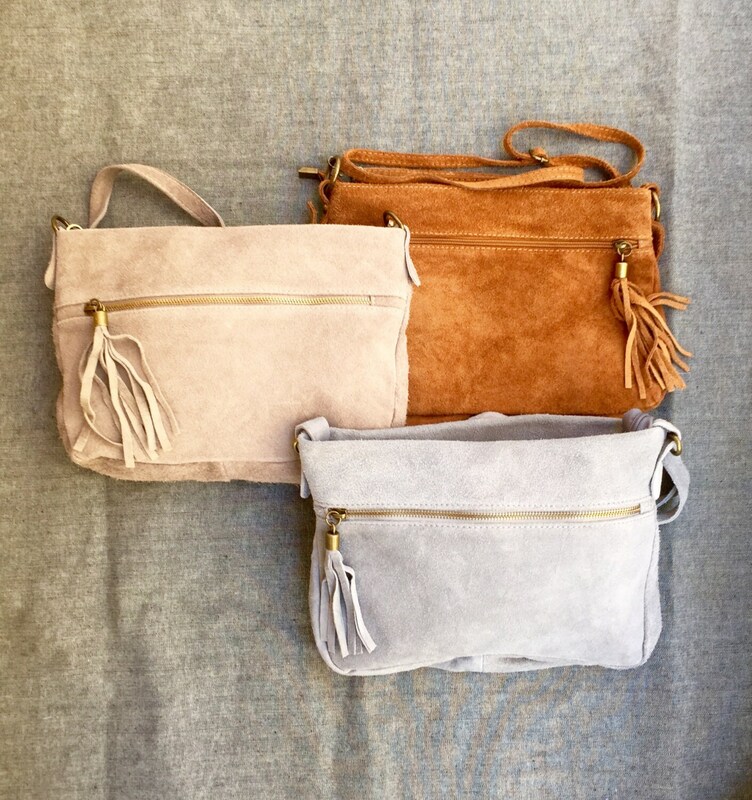 Soft natural leather bag with tassels. 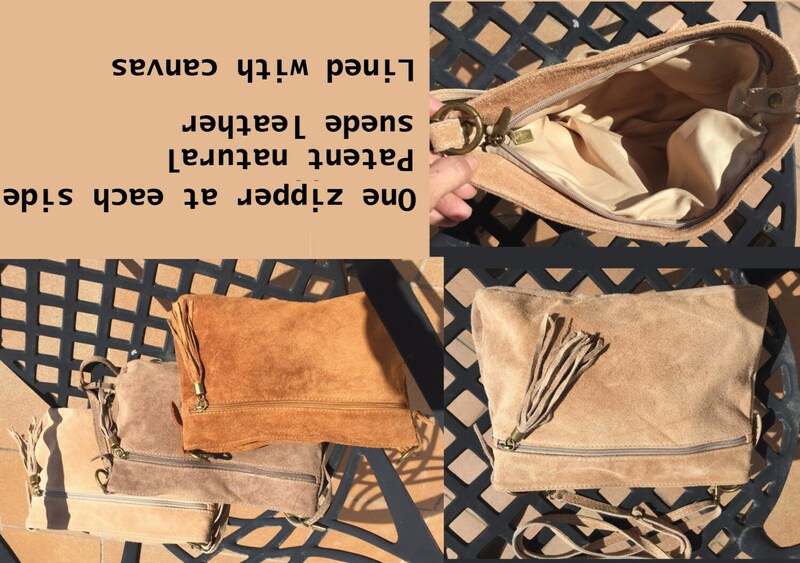 Genuine leather bag, festival Ibiza bags. 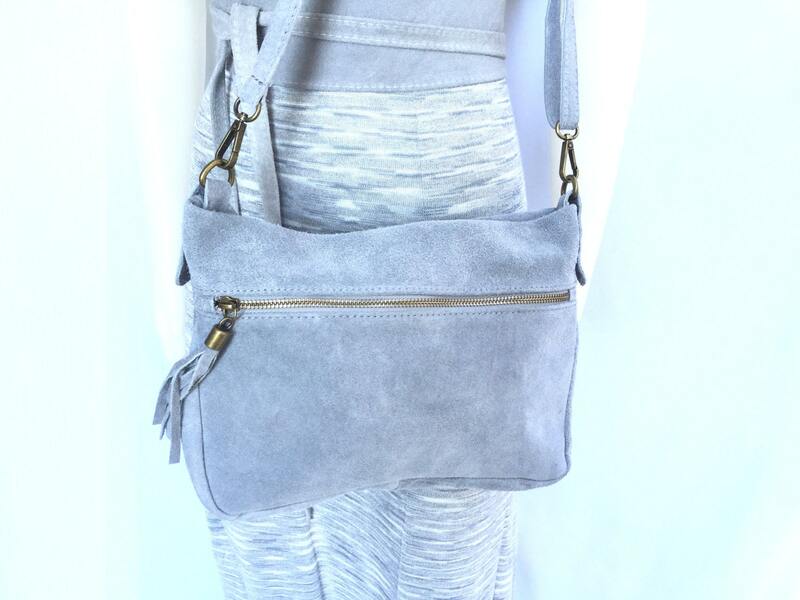 Bohemian summer leather bag in GRAY with tassel . Natural GENUINE leather. Festival cross over bag. The inside of the bag is fully lined in a strong nylon-cotton mix fabric . It has a main zipper on its upper part and one extra zipper closed pocket at each side of the bag aswell. Adjustable suede straps.